Yes, its now time to review another side dish; it won’t be too complicated, just a brief explanation as to why O’Malley’s makes some of the better ones I’ve had. As with fries, onion rings are a dish that is very easily done wrong; many times they are flimsy, lacking enough breading and crunch, or suffer from limp and tasteless onions that slide out of the breading with the first bite. O’Malley’s onion rings suffer from none of these things. O’Malley’s breads their onion rings quite nicely, which in turn provides the rings with firmness and a good crunch; the casing holds the onion in place after the first bite has been taken, and the onion itself is sweet and does not suffer from a watery lack of taste. 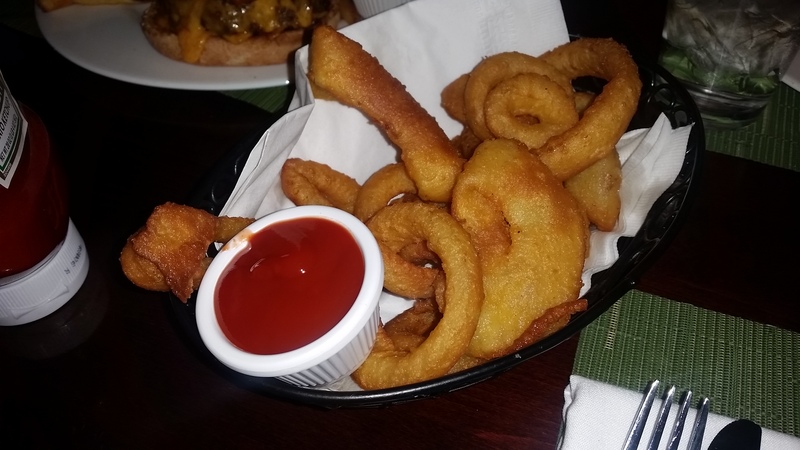 To be sure, when going to O’Malley’s, the best side dish to order is the Beer Battered Onion Rings, you definitely will not be disappointed in this selection. O’Malley’s does many things well, but when it comes to beef centered dishes (Steak, Burgers, Philly Cheesesteaks, etc. ), they really step their game up. Over Memorial Day weekend I visited this establishment with a couple of friends, and boy did it live up to my memory. Burgers (like many foods) can be easily hit or miss; you can either make a really good/great burger, or a terrible one; it is very hard to find that middle ground. So going into a bar/restaurant and ordering a burger, one must be prepared for either extreme; fortunately, ours was extremely good. The melted American cheese (one of a few options you can choose) fits perfectly with the patty; normally I don’t go anywhere near American cheese, but when its melted, it is quite good. Furthermore the bacon they used was magnifique; this was true bacon (as opposed to a mass produced fake bacon product known simply as Fakon). It was extra crispy, with a powerful taste of pork and salt that meshed well with the seasoned beef it was resting on. Not to be left out, the french fries that O’Malley’s makes are top of the line; at risk of repeating myself, fries are another dish that is very easy to mess up; hit or miss. Often times you run the risk of soggy, mushy, or starchy fries, either with too much salt or not enough; but not at O’Malley’s. At this bar they are firm and crisp, with a good potato flavor that does not over-emphasize the starch, and is salted just right. 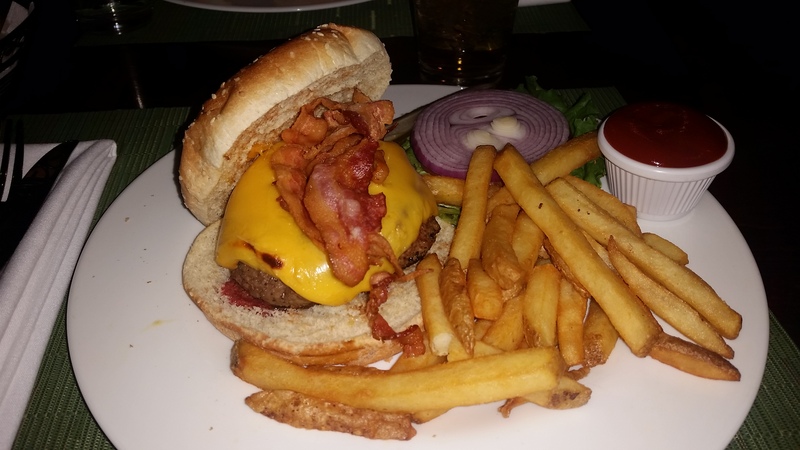 Burgers (particularly with cheese and bacon) are an American icon, an American staple; many people try to perfect it, but often times fail to live up to what a burger should be; but not here, not at O’Malley’s. So if you are a fan of burgers (or are simply Dean Winchester), I highly recommend heading down to Nyack and popping into O’Malley’s for a bite. When I reviewed Portofino’s delicious slice of plain pizza, I made a point to say that it was not just the taste that made it special, but its huge size as well. 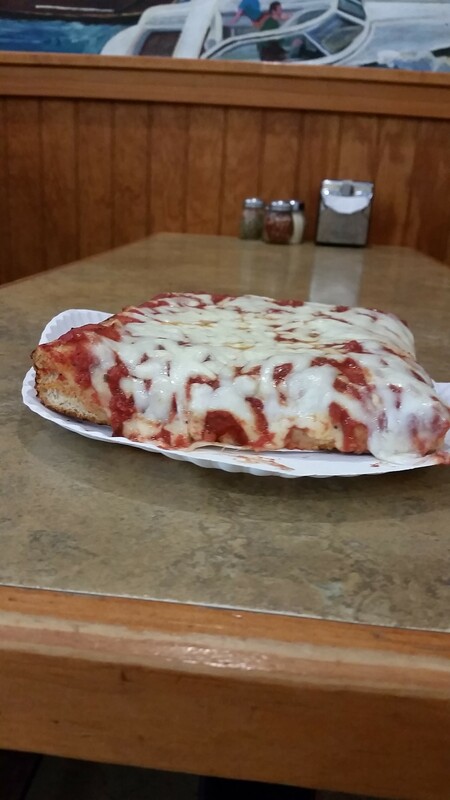 Fortunately, the same can be said for their Sicilian slice. I have covered a Sicilian slice before (for a size reference on what normal Sicilians look like, click here), but I have never seen anything quite like this. 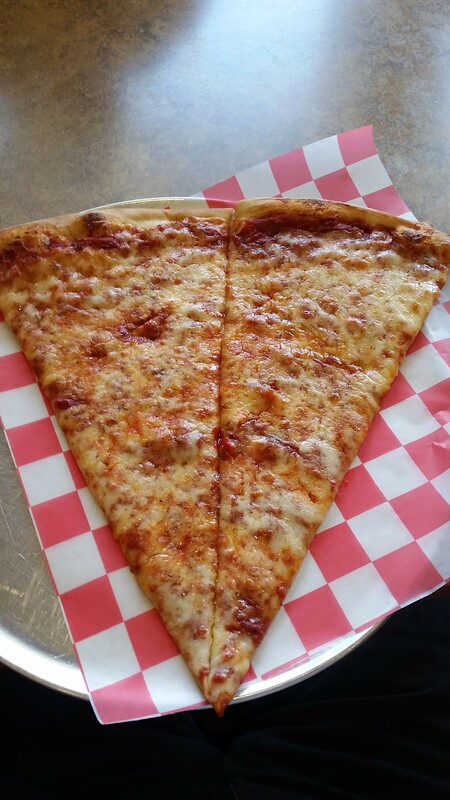 This slice literally takes up two paper plates, its massive. 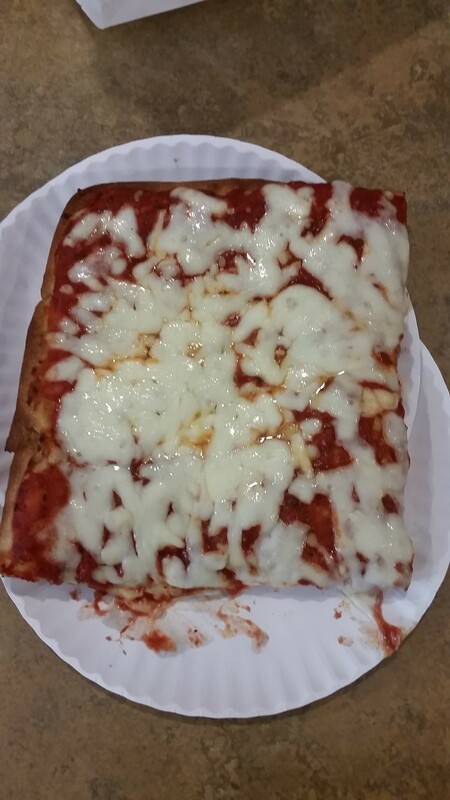 Along with the size, there are slight differences between this and most Sicilian slices; so the question is, how does it hold up against others? This culinary marvel needs to be broken down into three categories; cheese, sauce, and crust. The cheese one might notice is lacking in comparison to many others, but in this case it doesn’t matter; what cheese there is provides a nice sweet flavor that compliments the sauce. And speaking of sauce, there was plenty of it. In fact, I would say that in this case the reduction in cheese is balanced out perfectly by the increase in sauce. That leaves the crust, which very well may be the best part of this entire pizza; it is doughy (like any good Sicilian), but also has a very good light bite; and the crunch on the crust can be summed up in one word: fantastic. I have never had a slice of pizza with a crunch like this (burnt ones aside), and the crispness of the crust mixed with the cheese and sauce makes this one truly special piece of pizza. With two reviews dedicated to their product in a week, its safe to say that Portofino Pizzeria is one of the premiere pizza shops in Westchester County. If you are a Westchester resident, or are just passing through, this is a spot that you need to visit; and if you are in Putnam County, you are close enough to visit as well, so please do; if you like pizza, you won’t regret it. Portofino Pizza & Pasta is everything that is right with the pizza world; not only do they make a great tasting pie, but the size of their slices is unbelievable. 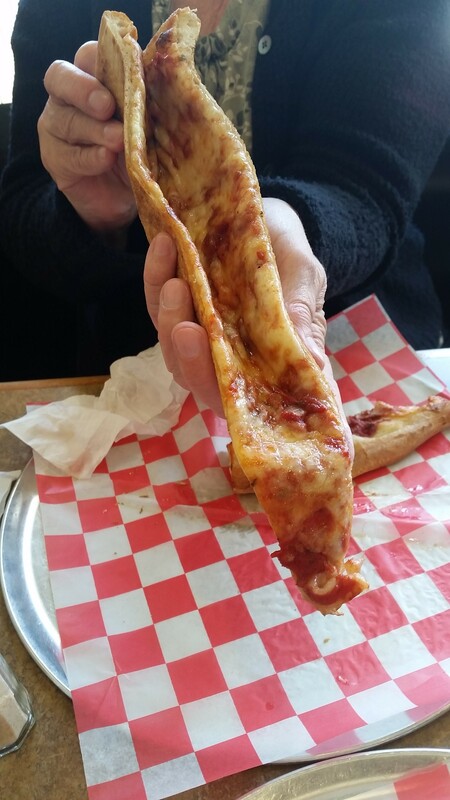 Yes, that is one slice that has been cut in half; when you have a slice of pizza that is nearly the same size of two normal ones, you automatically have something unique. But unique is not enough, you need quality and taste as well, and fortunately, Portofino does exactly that. In contrast to its extremely thin crust, this slice has a good thick cheese that carries a nice element of sweetness to it; the sauce on the other hand was very special, with a flavor that is mildly savory. That sweet and savory combination really stands out in the world of pizza, and rightfully so, because such a duo deserves our attention. Not to be outdone, the amount of oil that is used in each serving is just the right amount for a slice of this size. 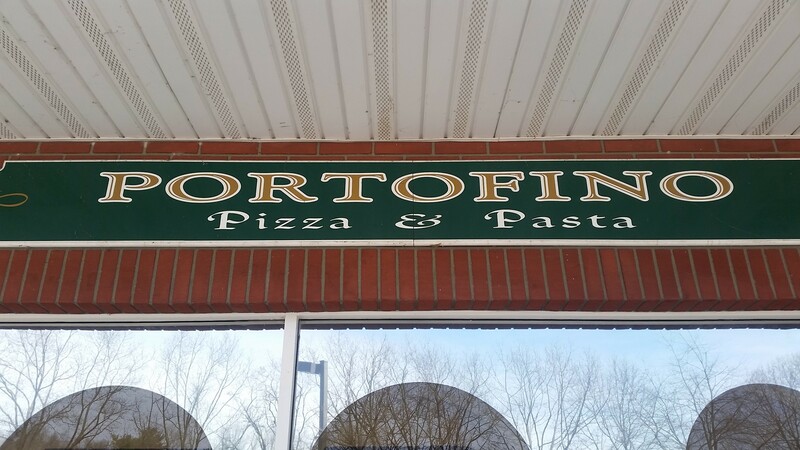 Portofino Pizza & Pasta (located in Golden’s Bridge NY) is simply put, some of the best pizza you will ever have; and I highly recommend it to everyone. Rest assured though, this is not the only review that will come from this restaurant, tune in later this week as I take on their massive Sicilian slice. 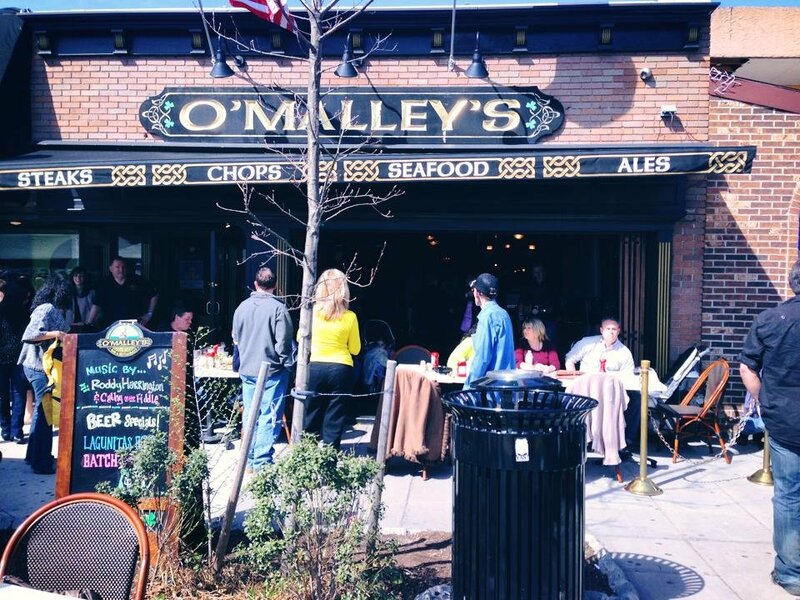 Its hard to come by good New England Clam Chowder outside of its namesake location; fortunately for us, it just so happens to be a chef specialty at O’Malley’s in Nyack. This is by far the best New England Clam Chowder I have ever had (though my experience with this dish has been mostly relegated to New York), and it comes in two sizes; cup, and bowl. Pictured above is the cup, but I readily suggest everyone get the bowl. O’Malley’s chowder is a pure and accurate taste of New England; thick and creamy, with a nice combination of sweetness and zest. The clams were fresh and had a good chew to them (avoiding the common fault of rubbery clams); the potatoes were hearty, and the vegetables had a good slight crunch to them. This is an appetizer that could very well be a meal, and by the time you’ve finished it, there is an excellent chance that it will leave you craving more. 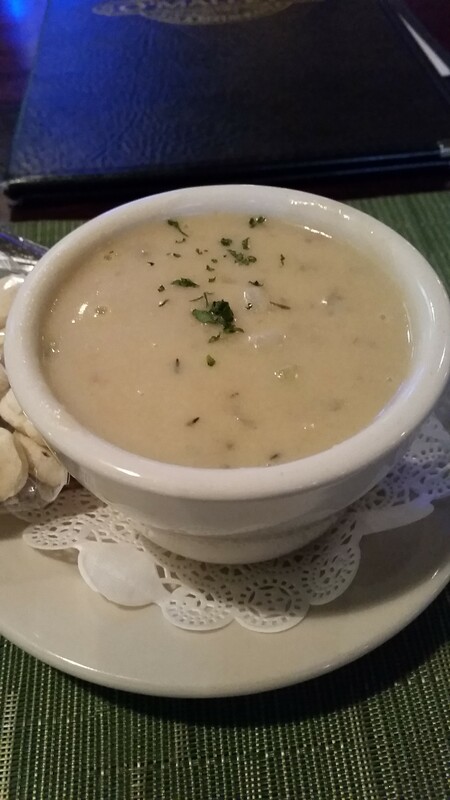 O’Malley’s has a plethora of good menu items, with this chowder being one of their best. 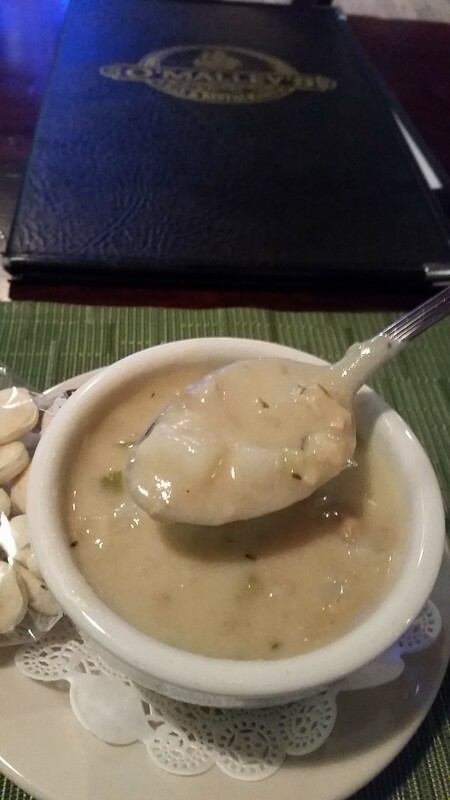 Whether its the middle of winter, or the peak of summer, O’Malley’s New England Clam Chowder is always worth the purchase, and can give many New England restaurants a run for their money. I hope you will enjoy it soon. Philly Cheesesteaks and Pizza are two of my favorite foods, so what could possibly be better than a combination of the two? One that comes from Luca Bella of course. I always find it amazing (and wonderful) when a “replica food” can mirror the original in taste and texture, and Luca Bella’s Philly Cheesesteak pizza does just that. The cheese is piping hot and melted to near perfection; and just like a good Philly Cheesesteak, it can burn the roof of your mouth if you are not careful (though in this case that is not really a bad thing). The meat is thick and provides a taste-filled bite, and the peppers and onions help to bring the authentic cheesesteak taste full circle. 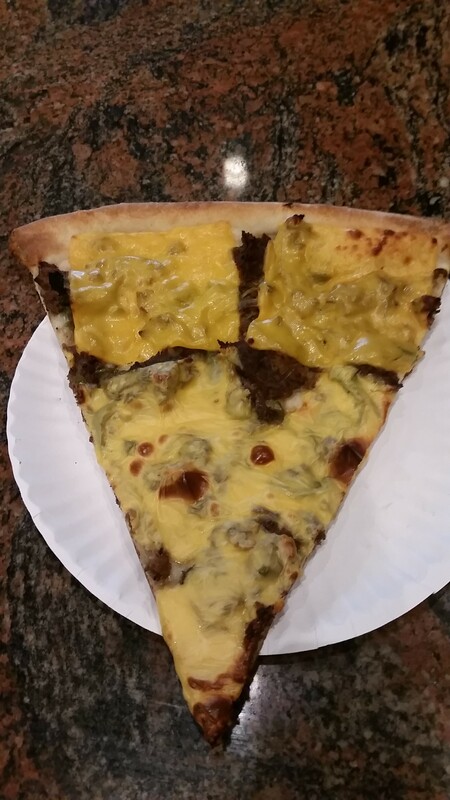 *Luca Bella’s Philly Cheesesteak pizza is usually available on weekends.